Want to feel like the king (or queen) of the castle? Add a Majestic Spa to your backyard landscape as your personal oasis of peace and tranquility. 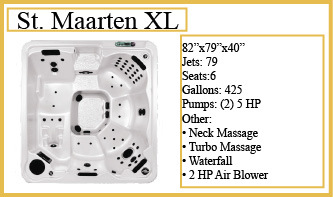 The Majestic series of spas are a high-end line packed with innovative features. 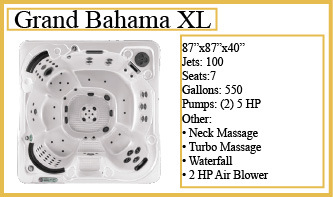 Enjoy the patented Ultra Wave Lounger, Hydro max and Roto-Massage seats only available through QCA Spas. 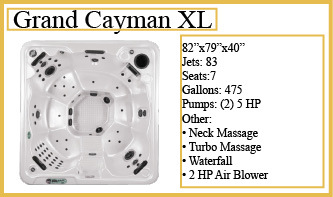 Built for 5-8 people, the Majestic series offers real hydrotherapy, delivered through 2 hi-flow pumps, a manifold plumbing system and up to 118 jets! 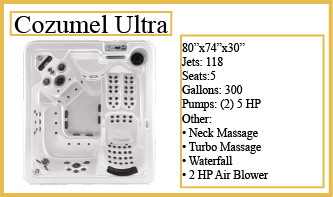 Enjoy the 2 speed air blower, air/neck jets, turbo massage and cascading waterfall. You will love the clever designs built for comfort, durability and safety.